Many people have been giving Zija (Moringa Oleifera) to their four legged friends; including cats, dogs, horses and many different exotics. Normally the powder form is best. However there are many dogs and cats that love to drink the liquid! One packet of Zija mix is good for up to 250 pounds of body weight, so amounts are determined, as with people, by how much your pet weighs. You can either mix with water or sprinkle over dry food. If you have an animal that is sick, you can safely increase their normal amount by giving it to them twice a day until they recover. For horses we recommend 2 packets of mix a day, one with each meal. Horses love it and will lick it right out of a dry bucket! On days when they are competing it is appropriate to give them an extra packet. Their performance is greatly increased without the use of harmful drugs. Remember that this is simply an organic whole food and cannot be overdosed. <---- This is what the Moringa Tree contains all naturally. Zija is overflowing with cell-ready nutrients, antioxidants, and vital proteins. Zija is the first - and only - company to channel Moringa's dramatic nutritional properties into a refreshing, nourishing beverage for everyday use. 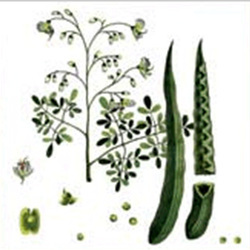 Zija is 100% natural and is the only product that contains the fruit, leaf and seed of the Moringa plant. Most importantly, it is a raw, organic, whole food product; 100% bioavailable, efficacious and enzymatically alive.